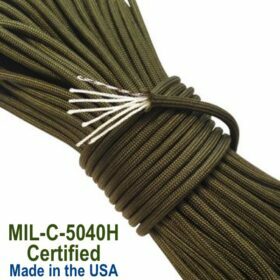 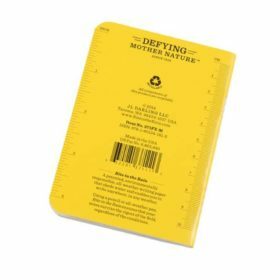 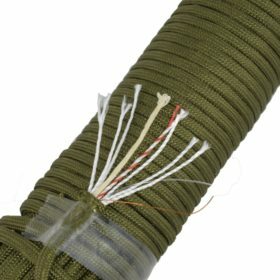 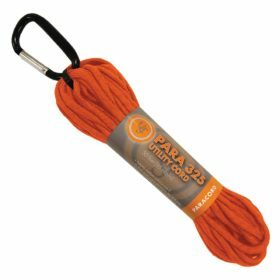 MIL-C-5040H Type III 550 Paracord is the USA Government Certified and has tested for braking strength of minimum 550 lbs. 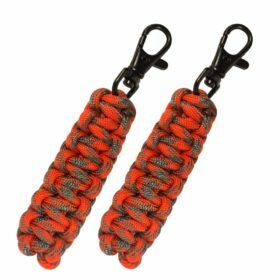 Manufactured by E.L. Wood Braiding Company in the USA. 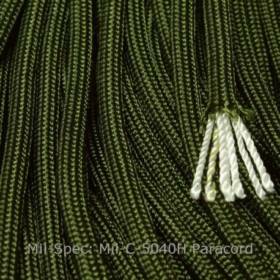 MIL-C-5040H Type III 550 Paracord has tested and certified for braking strength of 550 lbs. 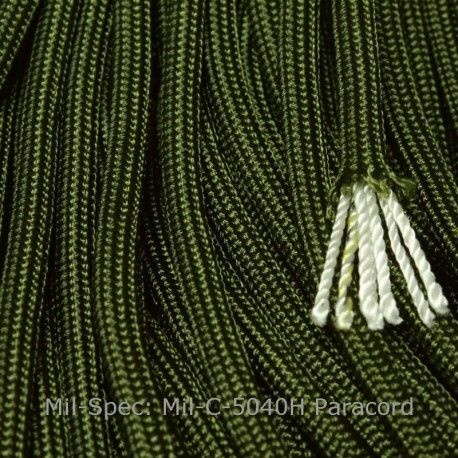 This is the genuine parachute cord manufactured by certified USA Government contractor E.L. Wood Braiding CO Inc. for the U.S. Military. 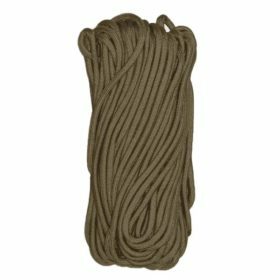 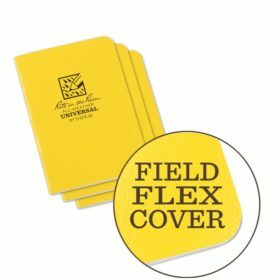 Don’t confuse the commercial 550 cord with MIL-C-5040H Type III 550 Parachute Cord (the official certified product used by the United States Military). 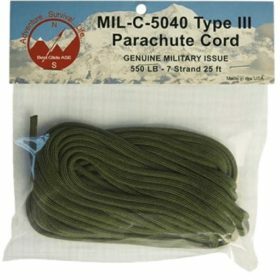 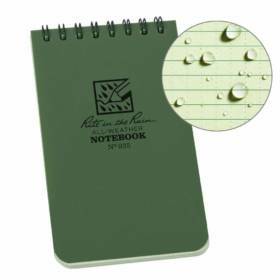 The military designation Type III MIL-C-5040H has a tested braking strength of 550 lbs and is the actual cord used in the Military. 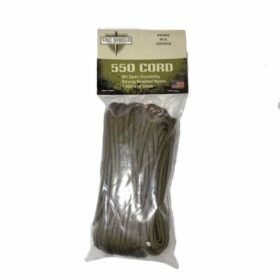 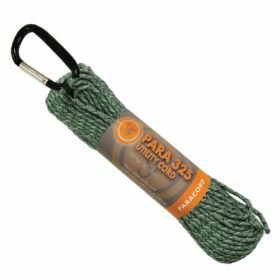 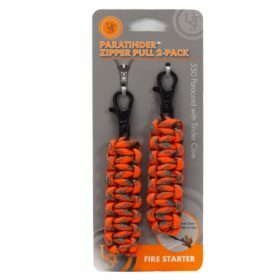 There are massive amounts of commercial grade paracord on the market that claim to be five hundred and fifty-pound test but are by no means certified manufacturers of the cord. 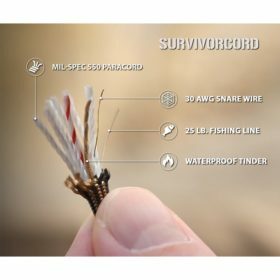 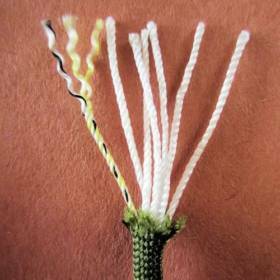 ❖ The inner guts of the cord include yarns which can be removed and used for many different applications such as dental floss, sewing and fishing line.